Dear parents, you may notice that your child tends to breathes through the mouth even at rest. It is a sign of abnormality. You have to take into consideration and have to report to your dentist, who is an expert in the field. In that case, we have the best team of doctors at PS Dental centre who are well versed in the field of Mouth breathing and in treating your child with personalized care. Normally, Most individuals breathes through nose at rest. Breathing through both nose and mouth during exercise is also normal, a behavioral adaptation to increase air intake and hence supply more oxygen to the muscles. But breathing through mouth at rest is abnormal. If Mouth breathing occurs during sleep, it may cause Gingivitis(Inflamed gums) and Halitosis(Bad breath).Chronic mouth breathing in children may have implications on dental and facial growth. The nasal airway may be compromised partially or completely obstructed. Such individuals may find it difficult or impossible to breathe through their nose alone. In about 85% of cases, mouth breathing is an adaptation to nasal obstruction. Some individuals breathe through their mouth through force of habit, perhaps due to a previous cause of nasal obstruction that is now corrected. In other cases, the upper lip may be short, and the lips do not meet at rest ("lip incompetence"). Gingivitis, Gingival enlargement and increased levels of Dental plaque are common in persons who chronically breathe through their mouth. The usual effect on the gums is sharply confined to the anterior maxillary region, especially the incisors (the upper teeth at the front). The appearance is red, swollen and shiny. This region receives the greatest exposure to airflow during mouth breathing and it is thought that the inflammation and irritation is related to surface dehydration, but in animal experimentation, repeated air drying of the gums did not create such an appearance. It has been suggested that chronic mouth breathing in children can lead to the development of a long, thin face, sometimes termed “Long Face Syndrome” or specifically "adenoid facies". 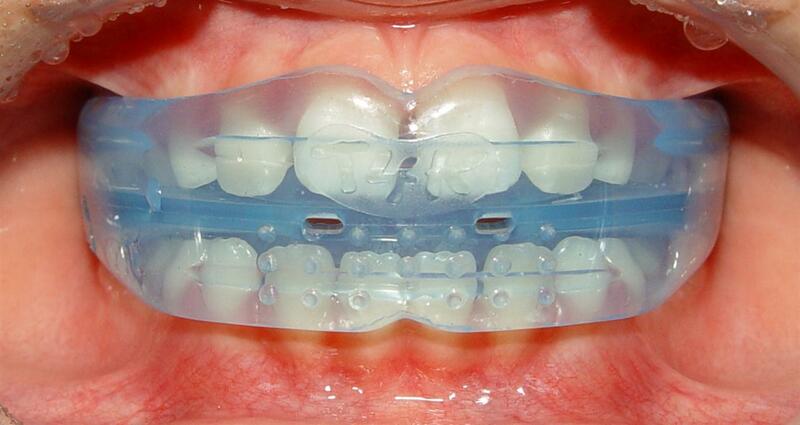 Crowded teeth are also suggested to result from chronic mouth breathing in children. Conversely, it has been suggested that a long thin face may cause mouth breathing rather than the other way around. Facial form is also strongly influenced by genetic factors. Over time, children whose mouth breathing goes untreated may suffer from abnormal facial and dental development, such as long, narrow faces and mouths, gummy smiles, gingivitis and crooked teeth. 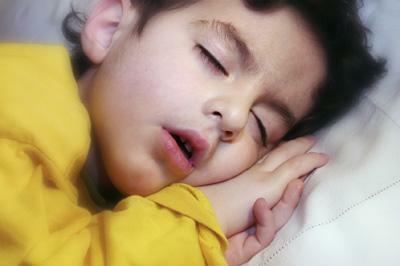 The poor sleeping habits that result from mouth breathing can adversely affect growth and academic performance. Treatment for mouth breathing is available and can be beneficial for children if the condition is caught early. The Dental Team of PS Dental centre can check for mouth breathing symptoms and swollen tonsils. If tonsils and/or adenoids are swollen, they can be surgically removed by an ear-nose-throat (ENT) specialist. If the face and mouth are narrow, we, the expert dentist of PS Dental centre use expansion appliances to help widen the sinuses and open nasal airway passages. At this time, many health care professionals are not aware of the health problems associated with mouth breathing. If you or your child suffers from this condition, Reach us. We have the best team of professional who is knowledgeable about mouth breathing.